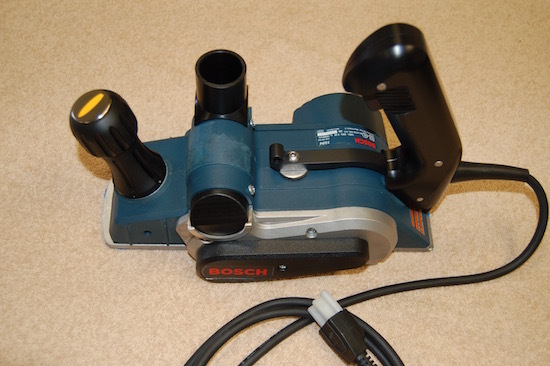 We still have a dozen of these kits left for the Bosch 1954k planers and are offering them at a reduced price including the PROFESSIONAL in-house modification and installation to your planer. Solid construction from the ground up. Professional installation to your planer. New 8' rubber grounded power cord. Very flexible. Aluminum frame w/ CNC machined Delrin grip rear handle. Very ergonomic! All new smooth contoured front shoe CNC machined from solid aluminum billet. Vertical vacuum right side up stack CNC machined from solid black Delrin. You order and ship your planer to us. We modify and ship back to you. Planer must be in working order. Contact us for shipping address after ordering.